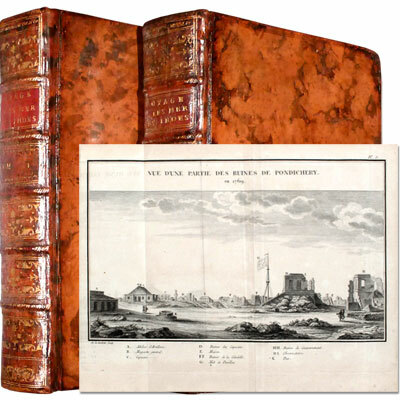 With engraved frontispiece, engraved extra title page, and fifteen further engraved plates. 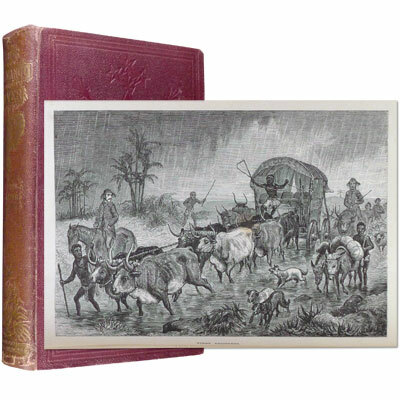 A scarce example in original publisher’s cloth, of Swedish explorer, hunter, trader and naturalist Charles John Andersson’s second book, describing his hunting expeditions through Namaqualand and Damaraland (Namibia). Andersson intended to explore these countries right up to Cunene or Nourse River but the difficulties of the expedition, though encountered with indomitable courage, proved to be insuperable, and he had to turn back. He obtained, however, much valuable information and his success as a hunter and collector was unique in this part of the continent. The coast-line of South-West Africa is carefully described and there is an interesting account of the once-famed guano island, Ichaboe.’ – Mendelssohn. ‘Hans Meyer was a geologist and experienced climber who made four trips to the Kilimanjaro region in 1887-1889 culminating in his successful ascent – the first undisputed summit of Kibo, 19,340 feet, the highest of the mountain's three peaks – in 1889. In an earlier attempt, Meyer and his companion Oscar Baumann had the misfortune to arrive in the midst of an Arab revolt against German traders on the East African coast. They were captured and held hostage until a substantial ransom was paid. Meyer's ultimate success has been attributed to his recognition that the greatest obstacle to achieving the summit was the lack of food in the upper regions. He brought a sizeable and well organized party and established several camps on the mountain, allowing him to make multiple attempts at the summit without descending to the base. 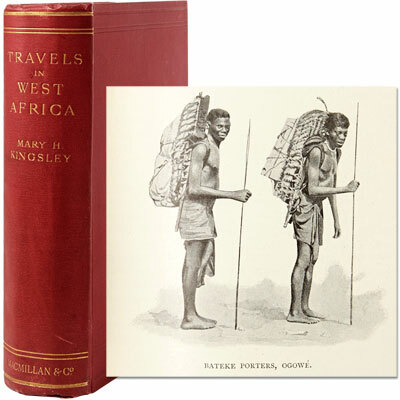 His lively and highly readable account of the expedition is arguably the most important work on African mountaineering.’ - Walkabout Books. With a photogravure portrait of the author, 26 full page monochrome plates, over 40 in-text illustrations, and six maps (five of which are folding and most outlined in colour). A. Donaldson Smith was an American medical doctor and amateur big-game hunter who, in 1894-95, undertook an 18-month expedition from Berbera, Somalia (then British Somaliland) to Lake Turkana (then Lake Rudolf) in Kenya. He explored the headwaters of the Shabeelle River in Ethiopia and, on his return journey, descended the Tana River to the Kenyan coast. 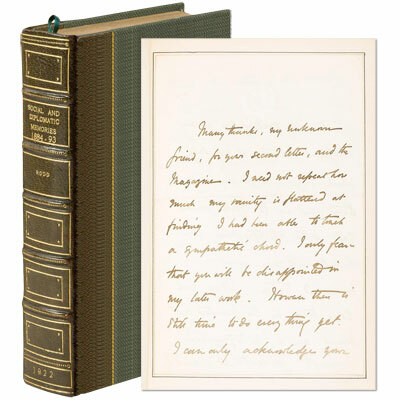 This book is his account of the expedition. 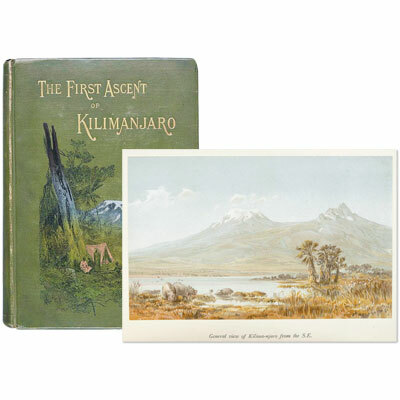 Its appendices contain detailed descriptions and illustrations of the fishes, spiders and scorpions, moths, geological specimens, fossils, plants, and ethnographic objects collected on the expedition. Also included are maps of the expedition’s route, glossaries of words collected from several African tribes, and his correspondence with Emperor Menelek, from whom he sought permission to travel through southern Ethiopia. Lake Turkana National Park in Kenya is now a UNESCO World Heritage Site.